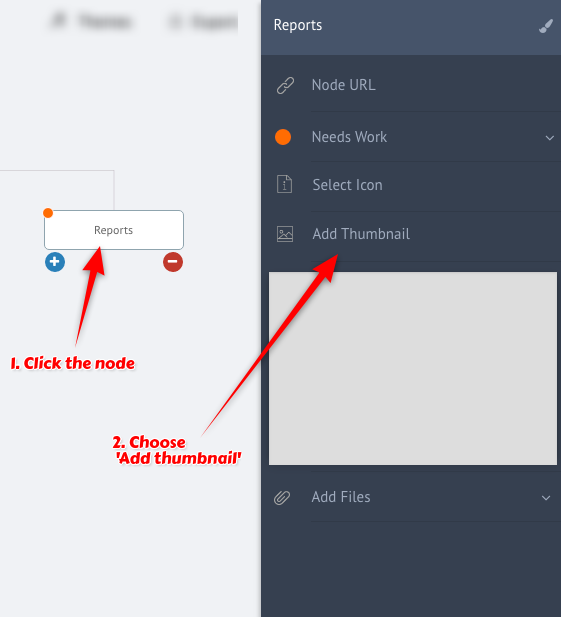 How to add thumbnails to SiteMap nodes ? 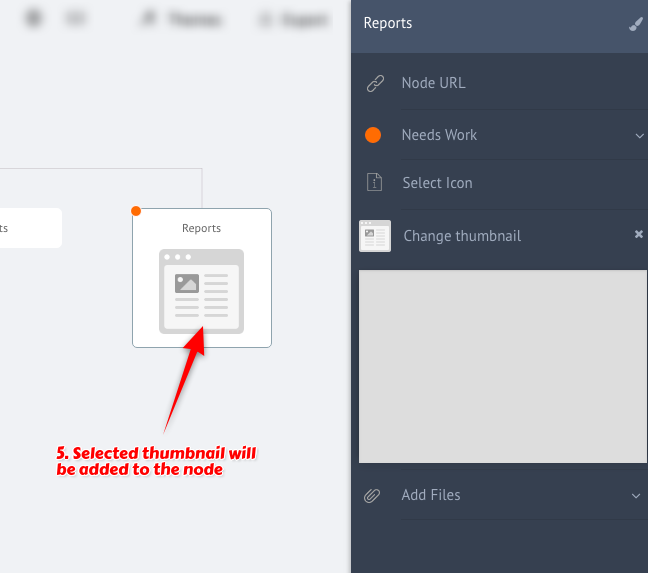 Thumbnails visually represent nodes in user interface flows. SiteMap app provides hundreds of popular layouts for web and mobile as thumbnails. 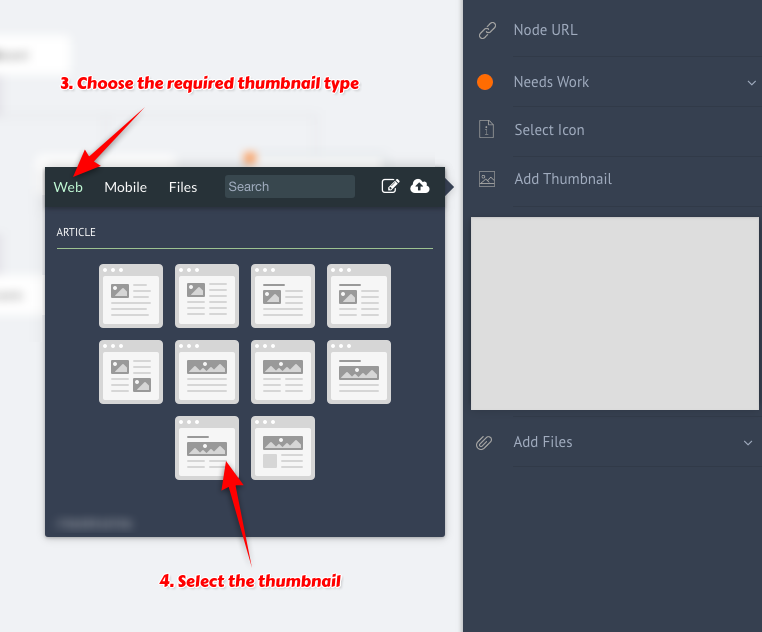 Also users can upload and set their own image as thumbnails to nodes.